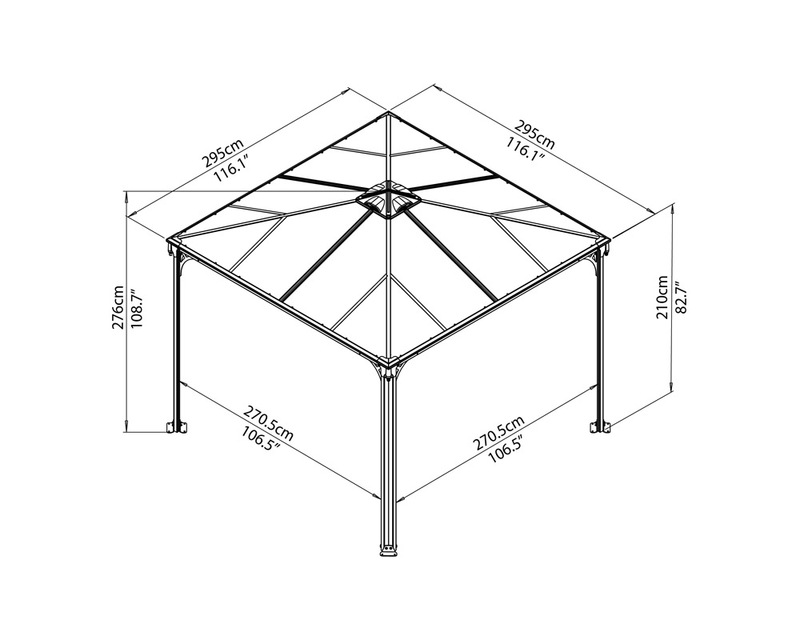 Palermo Garden Gazebos are available in 3 sizes – 3 x 3, 3.6 x 3.6 and 4.3 x 4.3. Grey corrosion resistant powder coated frames with galvanized steel connectors. Bronze 6mm twin-wall polycarbonate gives 99.9% UV protection with an integrated gutter system. Simple 2 person DIY assembly with pre-cut panels. 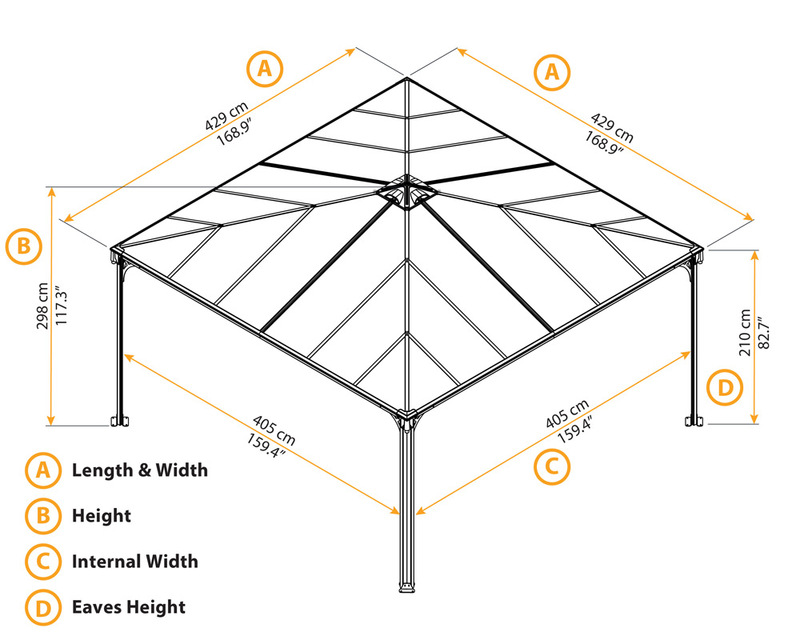 Square structure can be relocated and anchored to any surface. Top vent allows air flow. 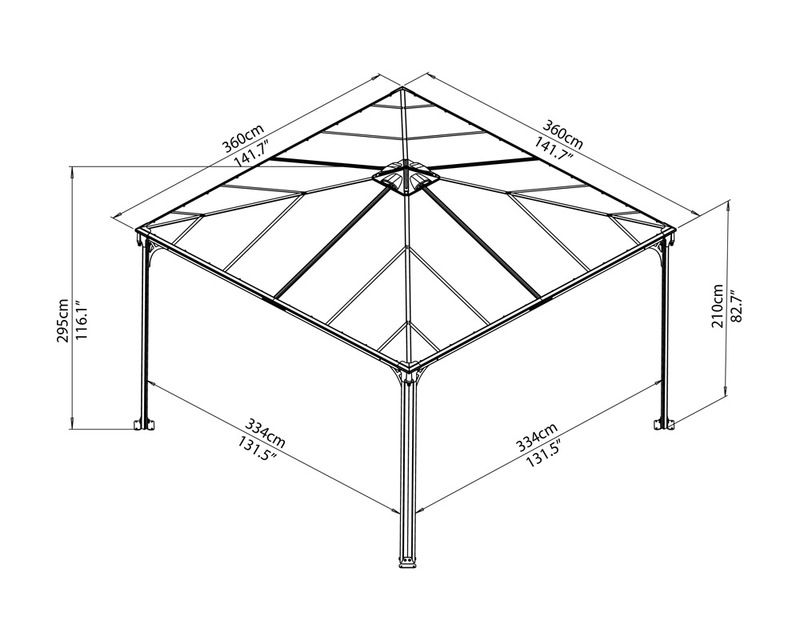 Also comes with integrated rails and hangers for adding optional curtains/netting. Optional curtains are available for the 3 x 3, 3.6 x 3.6 and 4.3 x 4.3.